Cisco SPA 514G- $169.00 Bought Outright $11.99 Monthly Rental – Multilink Technologies, Inc. The Cisco ® SPA514G 4-Line IP Phone with 2-Port Gigabit Ethernet Switch provides advanced voice and data communications features small businesses need to stay productive and responsive. Based on Session Initiation Protocol (SIP), the Cisco SPA514G (Figure 1) has been tested to ensure complete interoperability with leading voice over IP (VoIP) equipment from voice over IP infrastructure leaders, enabling service providers to quickly roll out competitive, feature-rich services to their customers. Stylish and affordable, the Cisco SPA514G IP Phone can also be used with productivity-enhancing features such as VoiceView Express, and Cisco XML Applications when interfacing with Cisco Unified Communication 500 Series in SPCP Mode. The Cisco SPA514G was designed to simplify installation, while providing enhanced security for complete peace of mind. It utilizes standard encryption protocols to perform secure remote provisioning and unobtrusive in-service software upgrades. Secure remote provisioning tools include detailed performance measurement and troubleshooting features, enabling network providers to deliver high-quality support to their subscribers. Remote provisioning also saves service providers the time and expense of managing, preloading, and reconfiguring customer premises equipment. Table 1 gives specifications for the Cisco SPA514G 4-Line IP Phone with 2-Port Gigabit Ethernet Switch, PoE and LCD Display. Note: Many features are programmable within a defined range or list of options. Please see the SPA Administration Guide for details. The target configuration profile is uploaded to the SPA514G at the time of provisioning. Table 2 compares the SPA514G with other Cisco Small Business SPA500 Series IP Phones. Power supply for SPA500, CP500, and SPA900-5V/2A (AU style plug). The Cisco Small Business Support Service provides three years affordable peace-of-mind coverage, to help protect your investment and derive maximum value from your Cisco Small Business solution. The subscription-based service offers software updates, telephone and online chat access to the Cisco Small Business Support Center, and next business day hardware replacement. Cisco Small Business products are supported by professionals in Cisco Small Business Support Center locations worldwide who are specifically trained to understand your needs. The Cisco Small Business Support Community, an online forum, enables you to collaborate with your peers and reach Cisco technical experts for support information. This Cisco Small Business product is covered by a Cisco 1-year limited hardware warranty with return to factory replacement and a 90-day limited software warranty. In addition, Cisco offers software updates for bug fixes for the warranty term, and telephone and online chat technical support at no charge for the first 12 months following the date of purchase. To download software updates, go to: http://www.cisco.com/cisco/web/download/index.html. Product warranty terms and other information applicable to Cisco products are available at http://www.cisco.com/go/warranty. 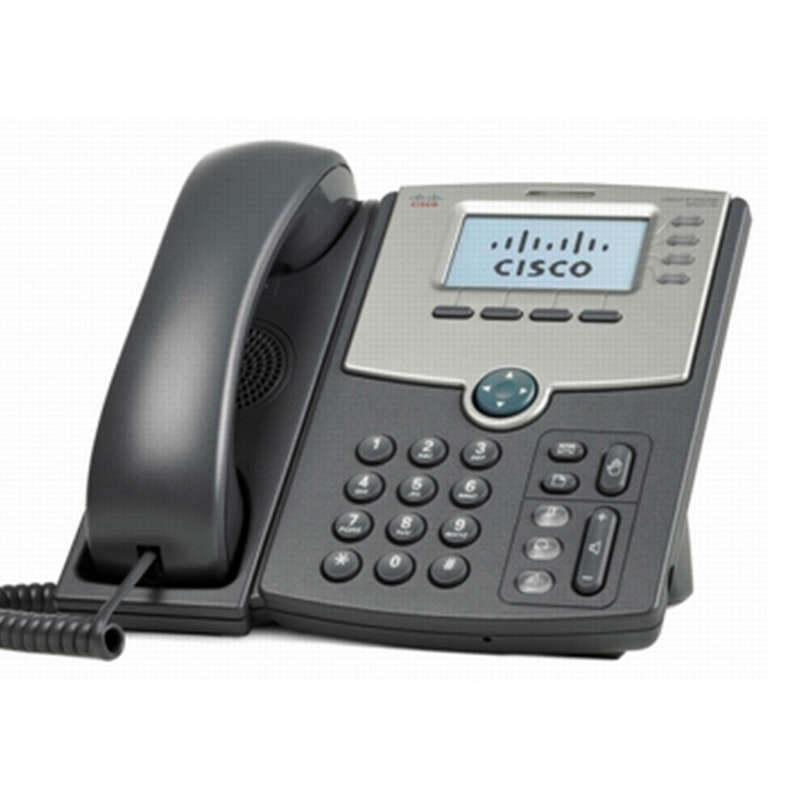 To learn more about the Cisco SPA500 Series IP Phones, please visit: http://www.cisco.com/go/500phones. For more information on Cisco Small Business products and solutions, visit: http://www.cisco.com/smallbusiness.